Authors: Marina Koldobskaya and Anna Frants. St. Petersburg, Russia, and New York, USA. The viewer is going through a long semi-dark corridor and suddenly right nearby somebody's breathing, heavy and powerful. It's the breathing of an invisible giant. Somewhat farther along, there are sighs of a sleeping child, easy and peaceful. Still farther, some old and, apparently, sick person is wheezing. The exiting viewer is accompanied by a deep sigh of relief. These sounds act as a reminder: We are here, we are always here, we are right next to you. Who are they, the invisible ones? Genii loci? Prisoners of an old fortress? Bogeymen, wood goblins, poltergeists? Inhabitants of our memory? An elementary audio recording awakens ancient animism in the soul of a modern person - everybody is alive; everything is alive. 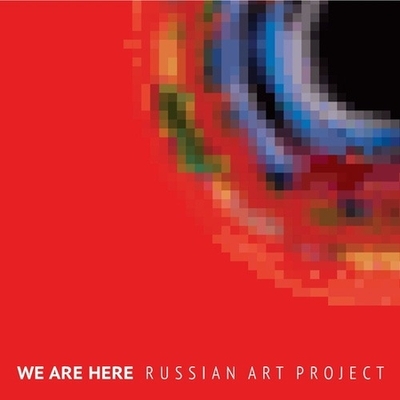 'WE ARE HERE' at 54 Venice Biennale - an exhibition by Ludmila Belova, Alexandra Dementieva, Anna Frants, Ivan Govorkov, Elena Gubanova and Marina Koldobskaya. Curated by: Silvia Burini. Supported By: Cyland Media Art Lab; National Center for Contemporary Arts, St.Petersburg Branch; St. Petersburg Arts Project; Fondazione Universita Ca Foscai. Opening: 3rd June, 2011 at 5 PM, Venice, Italy.